Let's say that you need to add two different time values together to get a total. Or, you need to subtract one time value from another to get the total time spent working on a project. As you'll see in the sections below, Excel makes it easy to add or subtract time. Suppose that you want to know how many hours and minutes it will take to complete two tasks. You estimate that the first task will take 6 hours and 45 minutes and the second task will take 9 hours and 30 minutes. Here is one way to set this up in the a worksheet. Enter 6:45 in cell B2, and enter 9:30 in cell B3. In cell B4, enter =B2+B3 and then press Enter. The result is 16:15—16 hours and 15 minutes—for the completion the two tasks. Tip: You can also add up times by using the AutoSum function to sum numbers. Select cell B4, and then on the Home tab, choose AutoSum. The formula will look like this: =SUM(B2:B3). Press Enter to get the same result, 16 hours and 15 minutes. Well, that was easy enough, but there’s an extra step if your hours add up to more than 24. You need to apply a special format to the formula result. In cell B2 type 12:45, and in cell B3 type 15:30. Type =B2+B3 in cell B4, and then press Enter. The result is 4:15, which is not what you might expect. This is because the time for Task 2 is in 24-hour time. 15:30 is the same as 3:30. To display the time as more than 24 hours, select cell B4. On the Home tab, in the Cells group, choose Format, and then choose Format Cells. In the Format Cells box, choose Custom in the Category list. In the Type box, at the top of the list of formats, type [h]:mm;@ and then choose OK.
Take note of the colon after [h] and a semicolon after mm. The result is 28 hours and 15 minutes. The format will be in the Type list the next time you need it. Here's another example: Let's say that you and your friends know both your start and end times at a volunteer project, and want to know how much time you spent in total. Follow these steps to get the elapsed time—which is the difference between two times. In cell B2, enter the start time and include “a” for AM or “p” for PM. Then press Enter. In cell C2, enter the end time, including “a” or “p” as appropriate, and then press Enter. Type the other start and end times for your friends, Joy and Leslie. In cell D2, subtract the end time from the start time by entering the formula =C2-B2, and then press Enter. 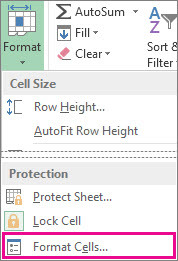 In the Format Cells box, click Custom in the Category list. In the Type list, click h:mm (for hours and minutes), and then click OK.
Now we see that Richard worked 3 hours and 45 minutes. To get the results for Joy and Leslie, copy the formula by selecting cell D2 and dragging to cell D4. The formatting in cell D2 is copied along with the formula. It is necessary to create a formula to subtract the difference between two times that total more than 24 hours. Referring to the above example, select cell B1 and drag to cell B2 so that you can apply the format to both cells at the same time. In the Type box, at the top of the list of formats, type m/d/yyyy h:mm AM/PM. Notice the empty space at the end of yyyy and at the end of mm. The new format will be available when you need it in the Type list. In cell B1, type the start date, including month/day/year and time using either “a” or “p” for AM and PM. In cell B2, do the same for the end date. In cell B3, type the formula =(B2-B1)*24. The result is 31.5 hours. Note: You can add and subtract more than 24 hours in Excel Online but you cannot apply a custom number format. Suppose you want to know how many hours and minutes it will take to complete two tasks. You estimate that the first task will take 6 hours and 45 minutes and the second task will take 9 hours and 30 minutes. In cell B2 type 6:45, and in cell B3 type 9:30. It will take 16 hours and 15 minutes to complete the two tasks. Tip: You can also add up times using AutoSum. Click in cell B4. Then click Home > AutoSum. The formula will look like this: =SUM(B2:B3). Press Enter to get the result, 16 hours and 15 minutes. Say you and your friends know your start and end times at a volunteer project, and want to know how much time you spent. In other words, you want the elapsed time or the difference between two times. In cell B2 type the start time, enter a space, and then type “a” for AM or “p” for PM, and press Enter. In cell C2, type the end time, including “a” or “p” as appropriate, and press Enter. Type the other start and end times for your friends Joy and Leslie. In cell D2, subtract the end time from the start time by typing the formula: =C2-B2, and then pressing Enter. To get the results for Joy and Leslie, copy the formula by clicking in cell D2 and dragging to cell D4. The formatting in cell D2 is copied along with the formula.